The word technology means different things to different people. To some, it refers to a specific item, like a cellular telephone or a computer. Others use the word generically to describe an industry, equating it with the steel or farming industry. It really is both. One of the earliest technologies was the lever. It completely changed the way people moved and lifted objects, regardless of size. It allowed one person to do the work of many, thereby increasing the efficiency and productivity of a single person. Later, applied to many people, huge stones were placed just right, forming the pyramids. That technology has seen many improvements through the years, but the fundamental lever still works. The wheel is another great technological advancement still in use today. It has advanced with new shapes, sizes and processes, but the basic concept is still unchanged; A round device that spins on an axle. We install them on automobiles, wagons, dollies, and vacuum cleaners, making them easier to push and pull. In school, I was not allowed to use electronic devices in math class. 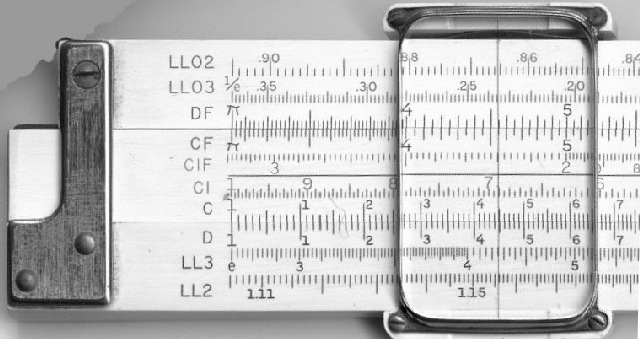 We were taught to use slide rules instead, because they required a degree of intelligence that the calculator did not. Today calculators are present in every classroom, and if I’m not mistaken, allowed in SAT/ACT testing rooms. I converted a 6-volt Plymouth sedan over to 12-volt so I could install a 4-track tape player. Yep! Open top, manual levers, and two speakers! Tunes to go for 1967. Today an iPod can hold a hundred times more music than I even own, playing digital tunes for hundreds of hours. In fact, the iPod can play for over a month, 24/7, without repeating a song. 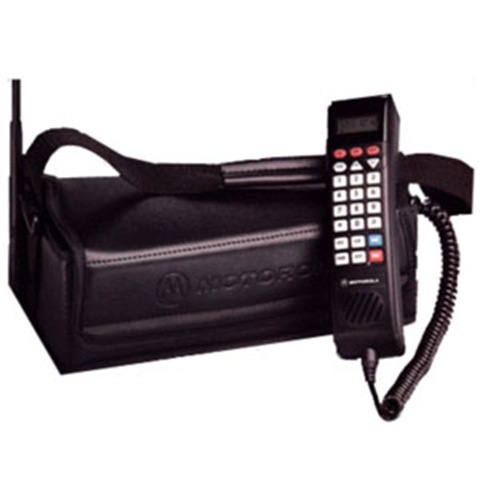 My first mobile phone was a Motorola bag phone, like the one pictured above. It was analog, plugged into the cigarette lighter for power, and worked like a charm. Yes, it was big and clunky, but it beat using pay phones at the quick stops. Today, my cell phone is so small, it gets lost on a messy desk. The technology industry is advancing so rapidly that computers are “out-of-date” before they’re unboxed and put into use. The accounting software you bought a few years ago, won’t run on the computer you bought yesterday. The small businessman fears the industry is moving too fast, and is feeling the pressure to either keep up or die. Getting a handle on this is of major concern to most small businesses who operate without full-time IT people. The rapid changes that are taking place in the technology industry, as a whole, require a small business to work with a better plan. 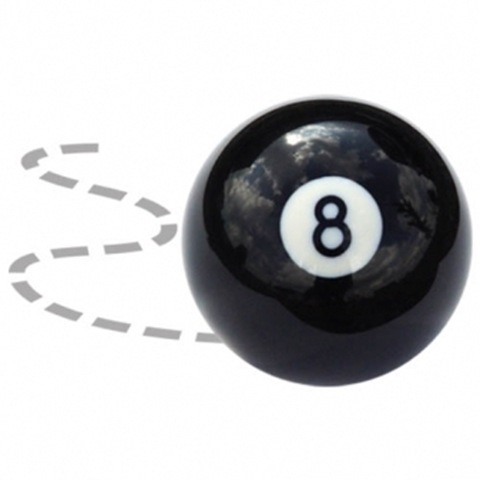 Strategic planning keeps companies from purchasing the wrong products, buying too quickly, and getting something that won’t integrate with their existing technology. Planning requires the answer to these questions and many more. Will the accounting software run on the new computer? Will the new computer connect to our network? Will the new computer talk to the server? If we need a server, should it run Windows or Unix/Linux? What’s our plan for backups? What is our catastrophic recovery plan? Do we need to upgrade our software to the latest version? What are these web applications all about? How do we keep our remote workers productive? Are we a viable candidate for home-based workers? What affect will Windows Vista/Mac OS X Leopard, Ubuntu Linux have on our business plan? As a salesman, I lived by, “Plan your work, then work the plan,” which is also appropriate for a business technology strategy plan. Plan the strategy, then work plan. The questions above, and others like them, will form the basis for the future of this web site. I will explore how to form and implement a plan. That brings up a completely different aspect of technology. I don’t write on this particular genre, but it is obvious that technology has a tremendous affect on the arts. There is a new breed of painters that paint with software, rather than paint brushes, composers that write orchestral pieces via computer software, and music that is digitized, that we can now listen anywhere we want. Even photographers and film makers that use digital devices to capture their vision. It would be an interesting topic to explore.